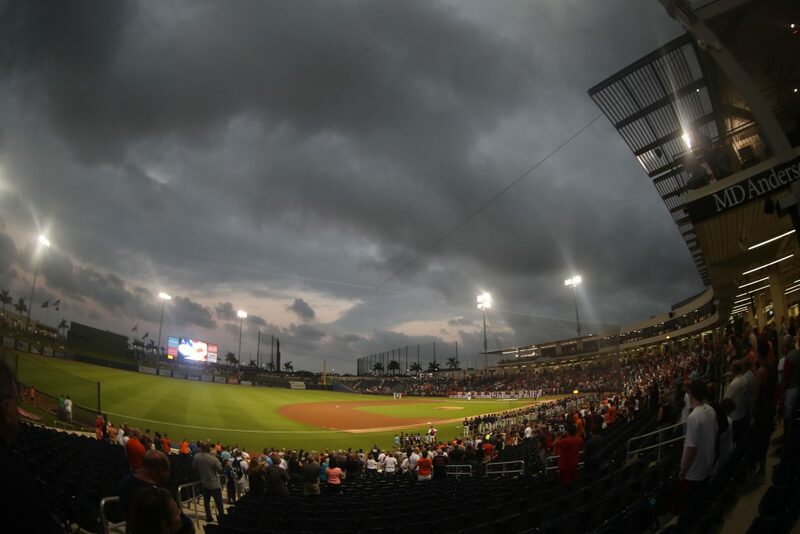 It’s the last night time game at the FITTEAM Ballpark of the Palm Beaches on the 2019 Grapefruit League schedule. The Nationals will play one more night game tomorrow in Jupiter. On Saturday and Sunday there are afternoon games scheduled with Sunday’s slate set for split-squad games. After Sunday’s games, the team will travel north to Washington, D.C. for an exhibition game on Monday evening against the Yankees, and Opening Day is a week from today. With only 5 baseball days remaining including today before Opening Day, there is certainly the question as to whether Tony Sipp and Howie Kendrick can ready themselves in time to make the roster and avoid the injured list. It sounds like Martinez will not push hard on Kendrick to make the Opening Day roster rather take the cautious approach with him. Today’s game will be Jeremy Hellickson‘s final game in Spring Training, however, he will probably need to pitch a sim game next week to keep him ready for his first start of the regular season. This entry was posted in InGame, SpringTraining, Uncategorized. Bookmark the permalink.